From marriage preparation to the sacramental liturgy and reception, we want to assist you in planning your wedding ceremony at Good Shepherd. The first thing you’ll want to do is schedule the date and time with Steve Lindner in the parish office. Because our wedding calendar fills up quickly, we encourage you to call Steve at least 8 months prior to your desired wedding date. To request a wedding date to be married at Good Shepherd, you must be a registered parishioner, or live within the parish boundaries. Weddings are not scheduled during Advent, Christmas holidays, or Lent. Please note: Weddings cannot occur during Lent, Advent, or Christmas holidays. After scheduling the ceremony, you will be asked to meet with the Director of Liturgical Ministries, Steve Lindner, ext. 702, to discuss your wedding plans and arrange your engaged couple premarital preparation classes. As part of the marriage preparation process, you will be completing the FOCCUS instrument. What is the FOCCUS instrument? Married couples help join a man and a woman on their journey of faith together. Engaged couples receive time from a married couple in order to discuss the FOCCUS instrument as a preparation of marriage. Discussion takes 2-4 sessions of approximately two hours to complete. A Volunteer couple must be living a Christian marriage, receive training in FOCCUS, and possess individual skills in listening and facilitation. According to the Archdiocesan guidelines, two Roman Catholics who marry have a choice between the Rite of Marriage and the Rite of Marriage within the Mass. For an interfaith couple, the Rite of Marriage takes place. You will meet about two months prior to your wedding date to plan the proper marriage ceremony for your religious status. We are especially fortunate to have excellent music at Good Shepherd provided by very talented and dedicated musicians. Steve Lindner will arrange for you to meet with our Director of Music Ministries, Doug Schmutte, who will be happy to assist you with all your wedding music selections and choice of musicians. 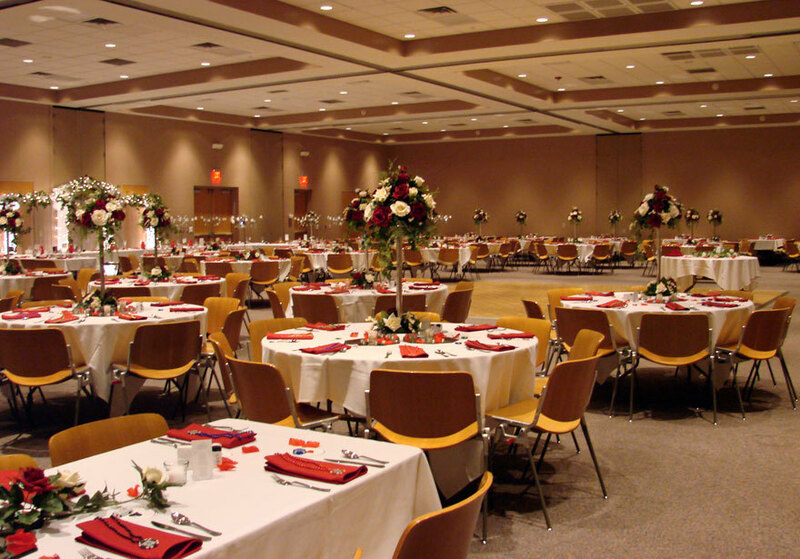 Our attractive, spacious facilities at Good Shepherd are especially appropriate for wedding receptions. A visit to Facilities offers a view of room locations for the church, chapel, Brides Room, and Wedding Reception areas. You may also read and print our Use of Premises Agreement that includes the Bar Supplies Price List as well as a handy list of local bartenders and caterers located on the left-hand side of this page.